It's time to make room in your closet for those horsey-set clothes. Our "First Saturday in May" entry for 2008 is a Parallel 38 design by Vinyard Vines . 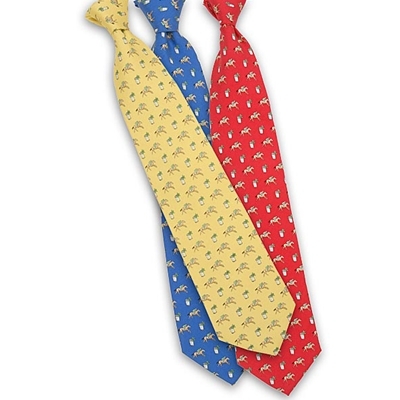 The ties -- in red, yellow, or dark royal -- feature galloping Thoroughbreds and Classic Louisville Mint Julep as the front motifs and the metro Louisville seal on the back.